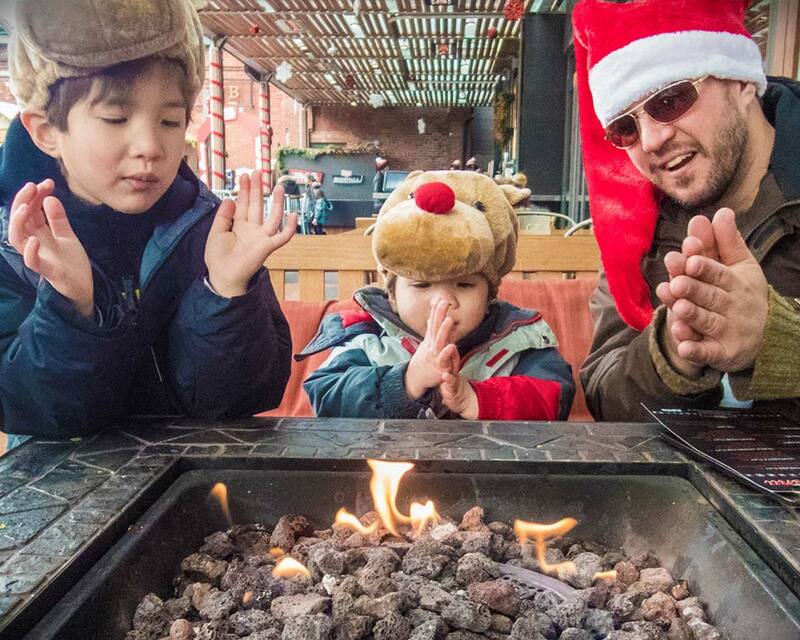 Last year, we visited the Toronto Christmas Market on a whim. We had been enjoying a lazy Sunday morning. The children were watching a show on Netflix and Christina and I were sipping our morning coffee. It was rare to have a whole day ahead of us with no plans other than to stay home and relax. Christina twitched, I fiddled and the kids argued over who would sit in a specific one of two chairs which were exactly the same. “Who wants to go on an adventure? !” Christina shouted. “Yaaaaay!” Shouted everyone. Sitting around and relaxing is not something we Wagars do very well. 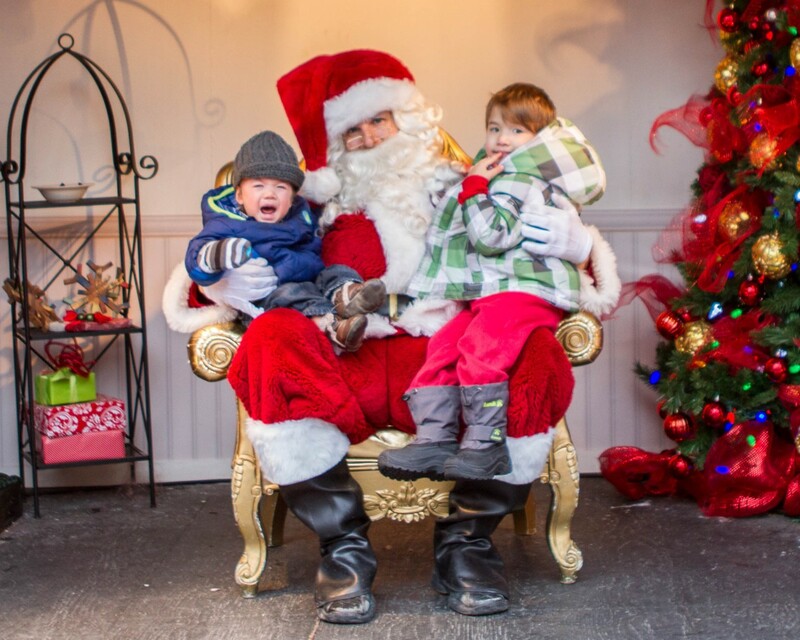 Well, a year has passed, and we are so excited to be visiting one of our favorite Toronto Christmas events again! 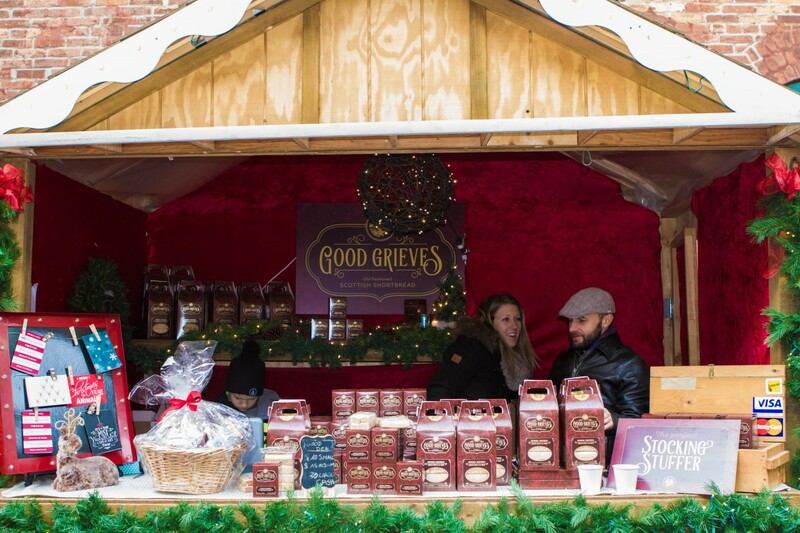 And to help you prepare for one of the seasons best Christmas festivals, here is everything you need to know for attending the Toronto Distillery Christmas Market 2018! When and Where is the Toronto Christmas Market? 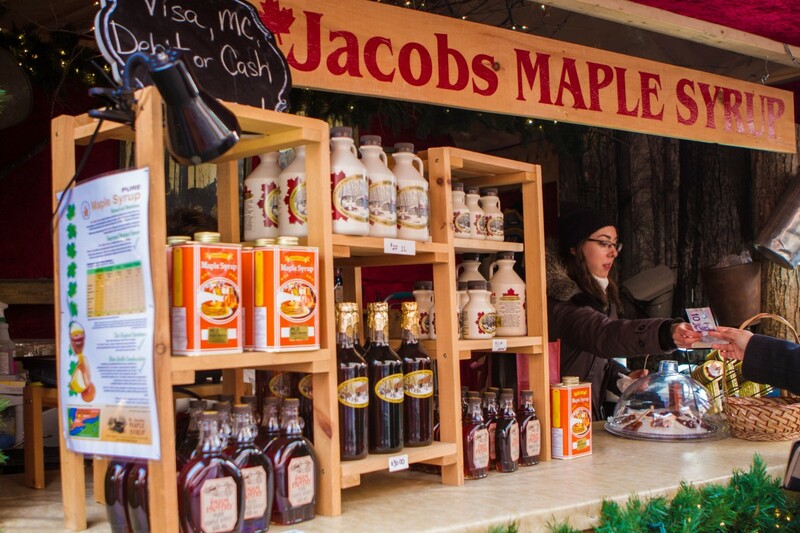 The Toronto Christmas Market takes place each year between Late November and the last weekend before Christmas. 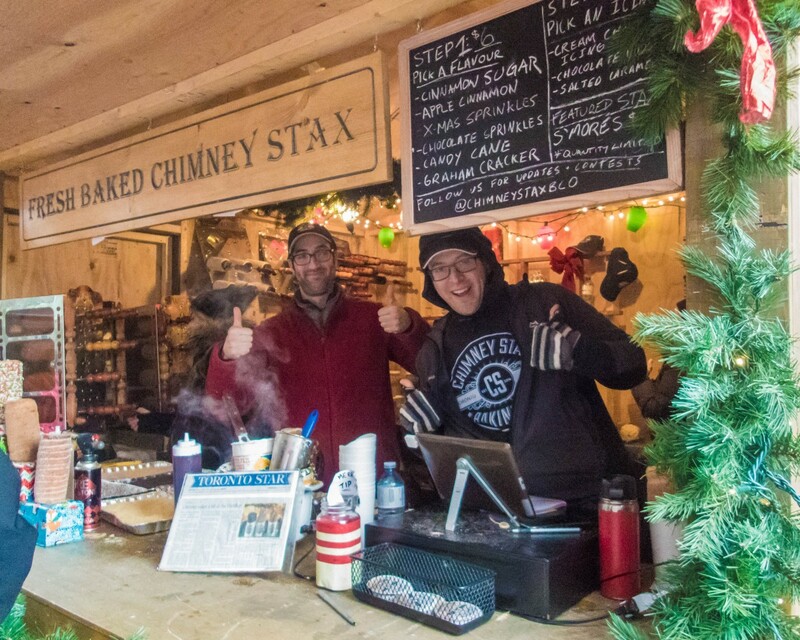 The 2018 Toronto Christmas Market opens on November 16 at 5:00 pm and runs until December 23. The Toronto Christmas Market takes place in one of the city’s oldest and coolest neighborhoods, the Toronto Distillery District. The Distillery District is at the bottom of Mill St. between Parliament St. and Cherry St. in Toronto. This makes it easily accessible from the Gardiner Expressway by exiting at Sherbourne St. From there turn left, then left again on Queens Quay until it turns into Parliament St. as it passes under the Expressway. Entrance cost for the Toronto Christmas Market varies depends upon when you visit. Entrance is free on weekdays until Friday at 5:00 pm. 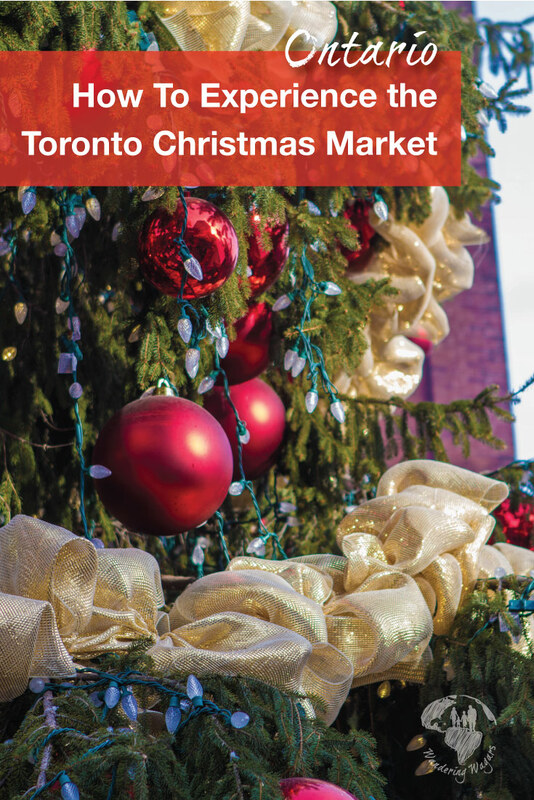 After Friday at 5, entrance to the Toronto Christmas Market is $6.00 per person and free for children 2 and under. There is also an express pass offered for $20.00 that allows visitors to bypass the general admission entrance. The Toronto Christmas Market express pass is a timed entry and does not offer any benefits other than bypassing the line. While we’ve definitely noticed lines at the market, we have never waited more than 5 minutes to get in. You can get tickets on the Toronto Christmas Market website here. Toronto’s Christmas Festival is jam-packed with giant Christmas trees, caroling elves, pop-up shops, innovative foods and hot chocolate. All these attractions make it a festive wonderland just waiting to be explored. To get into the season we donned our holiday hats (extra long Santa toques for Christina and I and Rudolph hats for the kiddos) and tore through Toronto traffic to get to the party. We arrived at lunchtime and our minds were squarely on the food. Having been to the Toronto Christmas Market the previous year, but having done a total of zero hours of research on it this year we decided to just stand in a crowd and see what food everyone else was talking about. We heard first about something called Tornado Potatoes so we headed up past Old Saint Nick and under the all-seeing giant robot spider brain sculpture to the Kartoffel Haus shack to try it out. Das Kartofflehaus is a street vendor with a long history of creating incredible German-inspired snacks for people on-the-go. We had a chance to speak with them briefly through the throng of people desperate to get their signature Tornado Potato. The Tornado Potato is a deep fried and spiral cut potato served on a stick and coated in a powdery flavouring of your choice (we chose Sour Cream and Onion). It’s easy to eat and absolutely delicious. Tip: The Toronto Christmas Market tradition gets its inspiration from the famous Christmas Markets in Germany. To learn all about them, check out this great post from Europe Diaries. While in line at Das Kartofflehaus we heard some panicked talk from some people beside us. “Chimney Stax is running out of S’mores!” they cried. Well, never one to back down from a challenge, I took off in search of Chimney Stax and found them near the entrance to Santa’s Village. At the front of the line I told the guys manning the booth what I heard. They proceeded to show me how they hand make and bake their bannock in a small gas oven and coat them with cinnamon and sugar. The chimney stax is lined with the buyer’s choice of chocolate, cinnamon, S’mores or the feature of the day. It’s served in a cup (there is no bottom, so the cup keeps the gooey insides from falling out onto the ground). The guys manning the booth were great and I had a blast talking to them. The Mill Street Brewery is the focal point of any trip through the Toronto Distillery District. 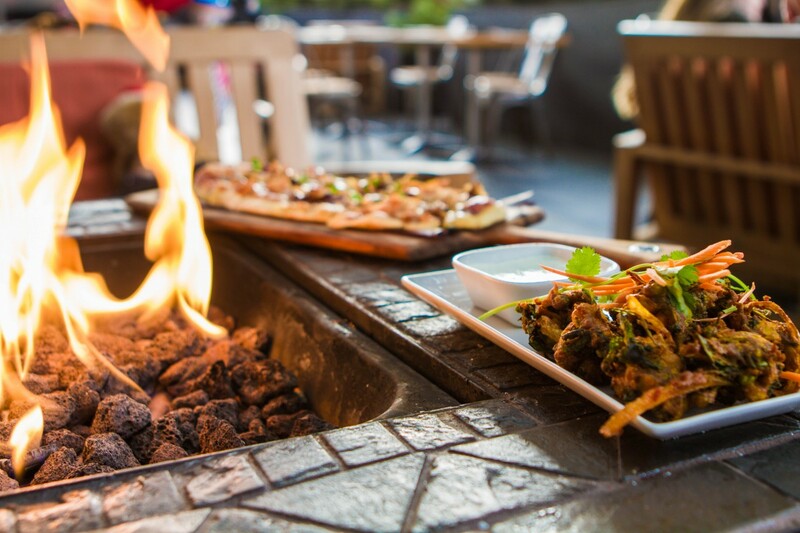 The gastropub, which spawned the Mill St. brand of beer serves up amazing food to complement their delicious local craft beer. To feel part of the festivities we decided to stay on the patio and warm up at one of the several gas fire pits. While Christina treated herself to a (Christmas Market style cup of) Shiraz, I decided to go with one of Mill Streets classics, the smooth and delicious Vanilla Porter. We ordered the Shrimp Pakora, which was a bit too spicy for the kids but incredibly flavourful and the BBQ Chicken Flatbread which everyone devoured. From the Mill Street Brewery, we stepped back out into the cold weather but kept the warmth going by stopping by the Drambuie booth for a Hot Apple Toddy (1 part Drambuie, 3 parts hot apple juice, squeeze the juice of 1 lemon wedge, add a cinnamon stick). Our bellies were full after all the delicious food so we wandered out to explore some more of the Toronto Christmas Market attractions. The historic Toronto Distillery District is a great place to wander through any time of the year. During the Toronto Christmas Market, the atmosphere is turned up to 11. The market area is small, but packed full of shops, food stalls, shows, and activities. The main square of the Distillery District Christmas market is where the heart of the action is. The square features a stage where music acts full of jazz, bluegrass, folk an more are performed. 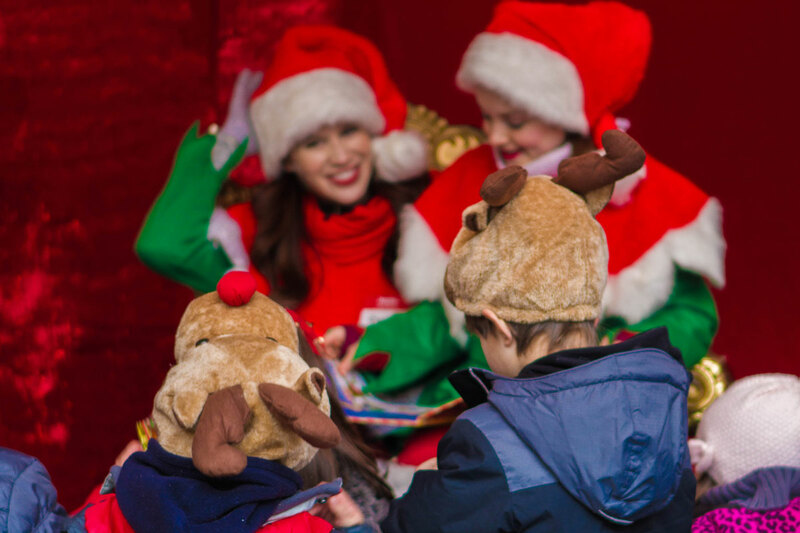 There are also storytimes and sing-alongs for the kids and of course, Christmas carolers! The main square of the Toronto Christmas Market also features beautiful art exhibits. This is also where you can find the famous Ferris wheel and merry-go-round. Lit up at night, these two features make for some stunning photographs. The Ferris wheel is also one of the best ways to get a great view of the Christmas festival lights. The Toronto Christmas Festival is one of Toronto’s best light shows, eclipsed only by the Toronto LightFest. You can read about our experiences at the Toronto Light Festival here. A Christmas market wouldn’t be complete without great shops. It’s a great place to pick up everything from Christmas ornament and artwork to ugly Christmas sweaters and Christmas tree’s. And all those and much more are for sale at the shops and stalls of the Toronto Christmas Market. Plus all the art and clothing focused attractions that make the Distillery District so popular are all still open as well. 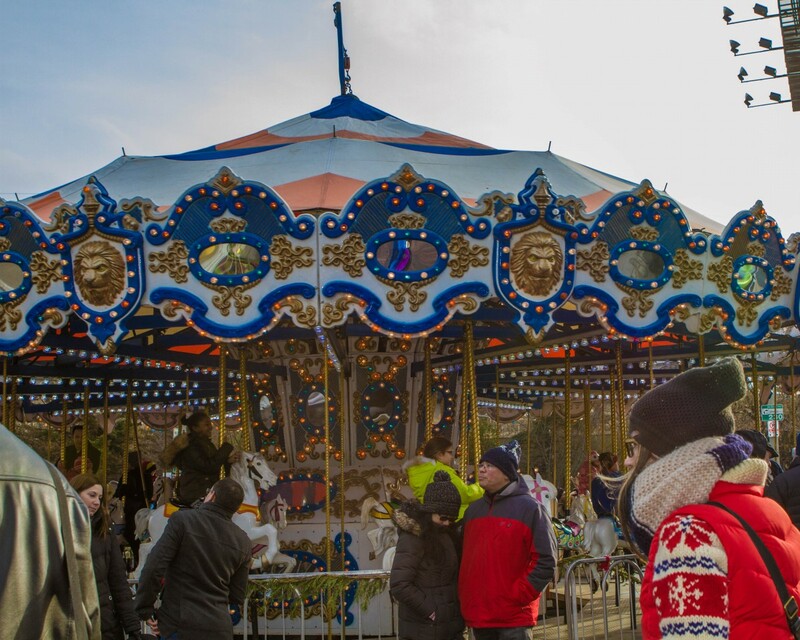 The Toronto Christmas market is perfect for those looking for an excuse to get outside and into the festive spirit. It features great food, fun activities, and of course, amazing food! Do you have a favourite holiday festival? We’d love to hear about it! This looks like so much fun! I would love to try the Tornado Potato and the flatbread. Will have to put the Toronto Christmas Market on our future holiday travel list. While reading and learning about some of these snacks I cussed aloud with desire, particularly for the chimney stacks. Canada is the smartest nation when it comes to food. Nice article, would love to get my hands on a Tornado Potato. Great food adventure and a great way to spend a holiday. Well. I just added “eat potato tornado” to my life goals. You had me at the S’mores section. I just about drooled at your description. This place sounds like heaven! So many great eats! I’ve had those potato tornados before and they’re so fun. Love the photo of the broken down truck. Looks like a super fun family adventure! 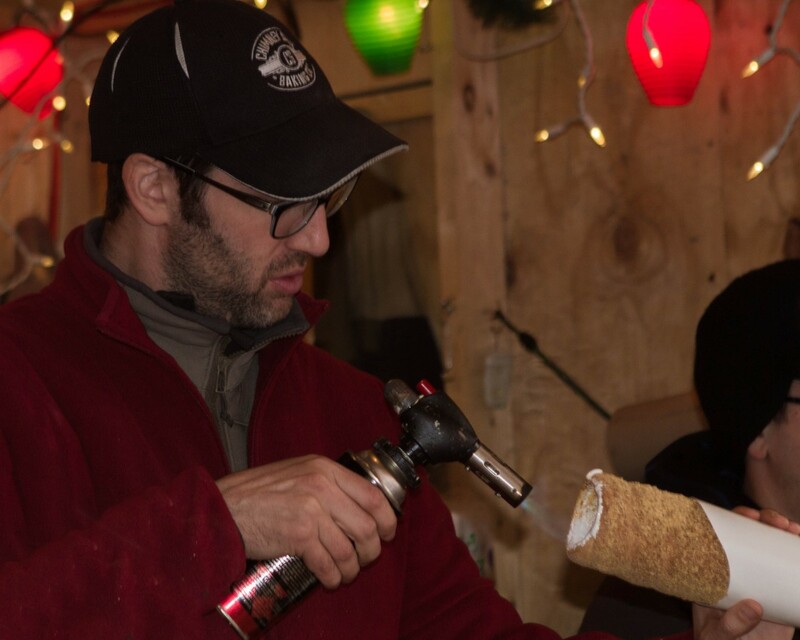 Those Chimney Stax smores look incredible – definitely need to try one of those! We aren’t very good at staying home and relaxing either! 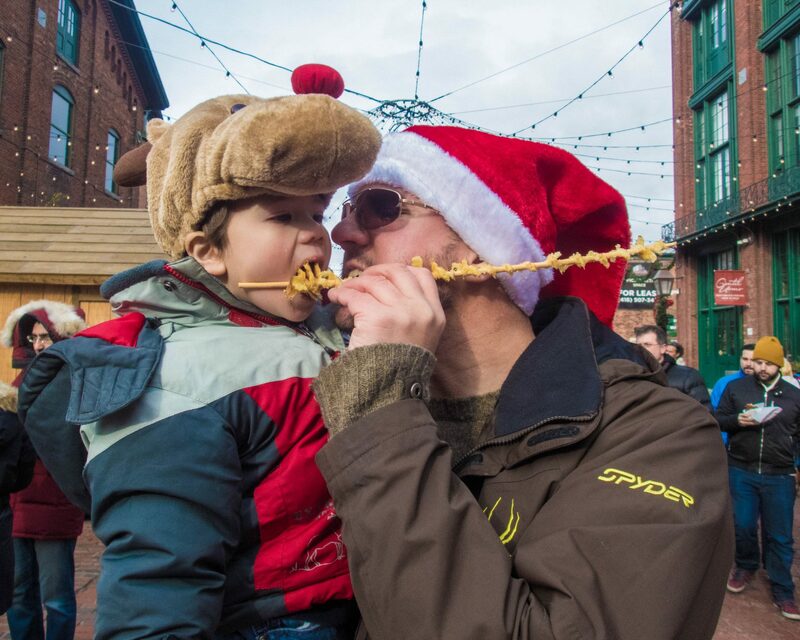 Christmas market sounds like a great way to spend the day! Man I would leave as fat as Santa if I went to the Toronto Christmas Market. I have never heard of a Chimney Staxx or the Toronto Tornado Potatoes but I am down for Sugar and Carb Heaven and to wash it all down with a Toddy! Merry Christmas to me!! Haha love that your family doesn’t do “sitting around and relaxing” very well! Adventures are better anyway 😉 The food looks so yummy – especially the chimney stacks! Those were my favorite in Hungary and it’s good to know they can be found elsewhere around the world! Great write up. Christmas markets are the best – the atmosphere, the entertainment, the food! Tornado potatoes are so good we always keep coming back for more.